On the page you will able to see list of team members you have invited. If a member has accepted your invitation status will be shown as Joined and if invitation is pending status would be Invited. You can edit information of team member, delete team member, resend verification email and also reset the password of any user if needed. To manage a team member, go to action menu of that particular team member as shown below. 1. Click on Edit option in action menu. 2. Do the require changes and click on Save. 1. Click on Delete option in action menu. 2. 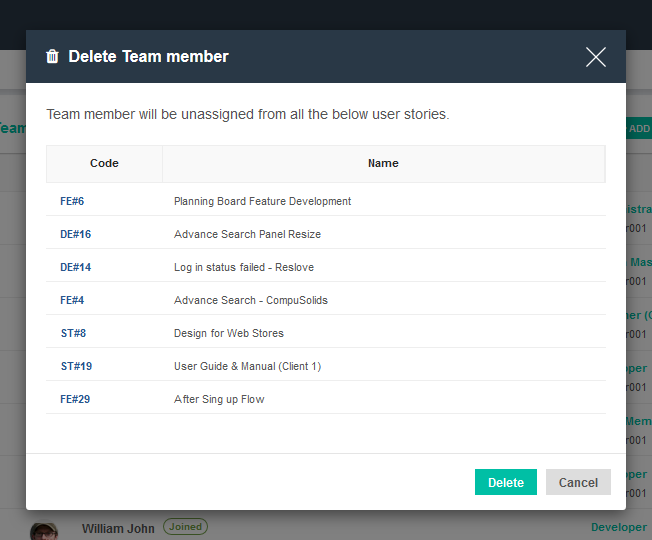 If you are sure you can click on Delete in Delete Team Member pop up. You can search a team member by name with quick search functionality.